Chopin: Waltz In D Flat, Op. 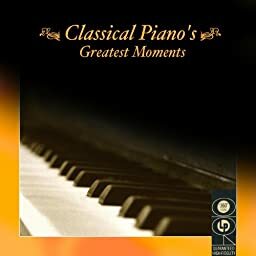 64/1, "Minuet"
Chopin: Polonaise In A Flat, Op. 53, "Heroic"
Chopin: Etude #3 In E, Op. 10/3, "Tristesse"
Mozart: Piano Concerto No. 26 in D, K. 537, "Coronation"
Chopin: Prelude #15 In D Flat, Op. 28/15, "Raindrop"
Chopin: Etude #12 In C Minor, Op. 10/12, "Revolutionary"
Chopin: Waltz In E Flat, Op. 18, "Grande Valse Brillante"